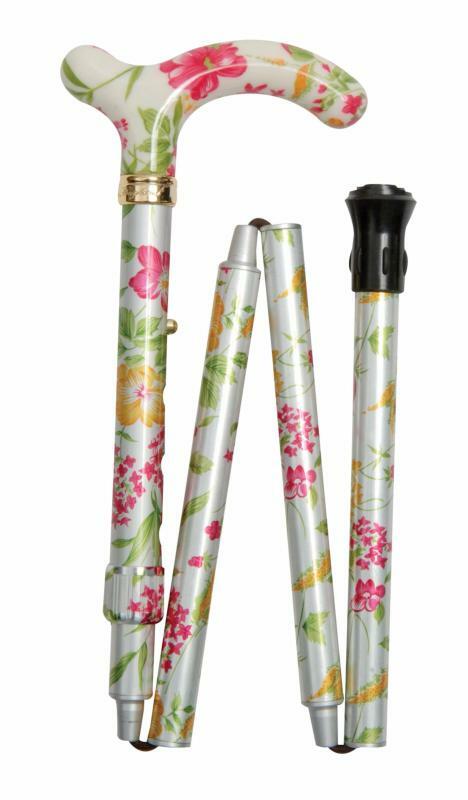 A very neat and elegant folding cane with a petite handle suitable for smaller hands. The pattern features pink and yellow flowers with green leaves on a cream background. Both the light and strong aluminium shaft and the plastic handle are patterned.